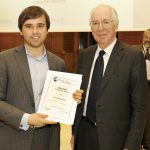 Two competitions have been held during 2010-2011: the global Prize, launched at Barclays Bank, London, [papers in English or French] and the regional Latin American Prize launched at MAPFRE in Madrid [papers in Spanish or Portuguese]. The Prizes attracted an excellent response, with some very high quality papers. 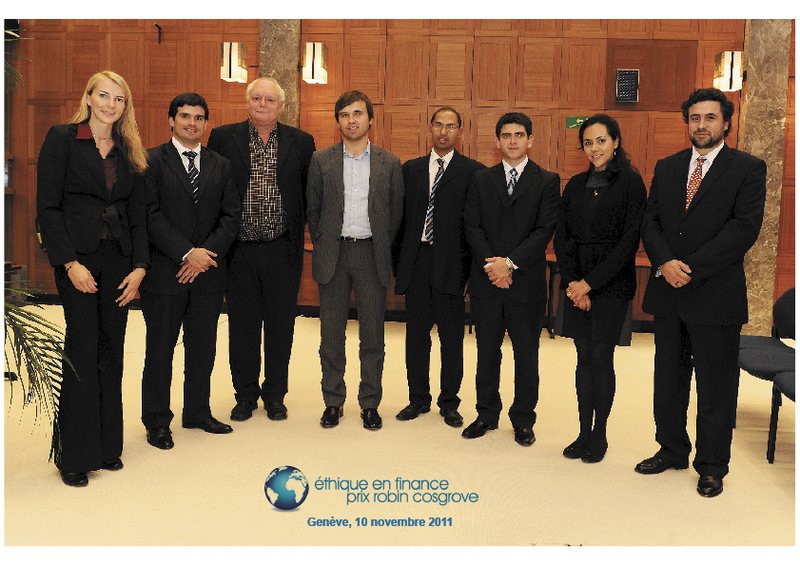 These papers were published in Finance and the Common Good/Bien Commun. I grew up in Koszalin (Northern Poland) where I went to high school and until the age of 18 I used to believe that I would become a playwright and/or a film director. Eventually I received two Master’s degrees in Finance: one from Institut d’Etudes Politiques de Paris and one from the Warsaw School of Economics. 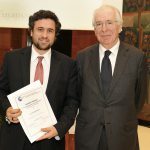 Since the second part of my studies and the beginning of my professional career coincided with the eruption of the most severe financial crisis since the Great Depression, I naturally developed the interest in the dynamics of financial crises and the effects of the financial sector development on sustainable economic growth. Because for several years I have been chiefly concerned with politics in Poland and other CEE countries, I was also focused on the issues relating to the economic transition in Central Europe. After an internship in the economic research in Poland, I joined BNP Paribas as a credit analyst of financial institutions in the Group Risk Management and I am currently based in London. I decided to participate in the competition because I wanted to submit my initial thoughts on this topic to a peer review. I understand that the reputation of financiers has been tarnished and the attempt to understand the ethical dimension of this crisis, is my very tiny contribution to the reflection on the future of the financial industry. Faly Ranaivoson studies the ways today’s greater complexity and faster pace of change affect individuals, communities, and organisations. He investigates how ever increasing complexity influences the way groups and companies organise themselves, address intractable challenges, and ultimately think about the world. His current research focuses on exploring inclusive and transdisciplinary approaches to address wicked problems, a phrase originally used in social planning, but which applies to some economic, environmental, and organisational issues as well. These problems typically involve many stakeholders with different values and priorities, contain considerable uncertainty and are tightly interconnected, economically, socially, technologically. 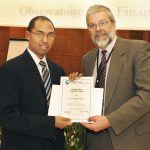 Faly previously taught at ISCAM School of Management (Madagascar) where he also coordinated international relations. He formerly worked in other sectors including market research and publishing. He has a degree in management from HEC Lausanne. Simone Heinemann holds a Master’s degree in European Economics and Culture as well as a Bachelor’s degree in Philosophy and Media Science. Before studying she worked as a bank employee at Dresdner Bank Inc. for two years. Simone is currently enrolled at Ruhr- University Bochum, Germany, where she is working on her dissertation on financial derivatives and the ethical problems arising from systemic risk which she will defend in 2012. Her research interests revolve around ethics in finance and risk as well as socially responsible investing and political philosophy. Simone has taught courses in financial ethics, the ethics of risk, logic and ancient philosophy. During the last two years she presented her research results on international conferences in Germany, the Netherlands and Hawaii. 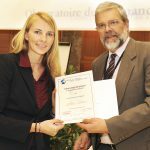 In 2010 she won the Societas Ethica Early Career Award. 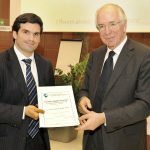 Bruno Federico Fernández obtained his degree as Bachelor of Economics from the National University of Tucumán, Argentine, where he is currently pursuing a Master in Business Administration. He was a Fulbright grant recipient in order to carry out his graduate degree studies. Since 2008 he has worked for the Central Office of Public Funds in the Ministry of Economy of Tucumán. He was always interested in the relationship between the overall image of man and economy, which led him to educate himself and become involved with ethics, Corporate Social Responsibility and social and solidarity economy. He collaborates as a volunteer in a microcredits program with the methodology of the Grameen Bank. He is a member of the Missionary Community of Santo Domingo and a contributor to the Tucumán Economy of Communion businessmen. In his free time he devotes himself to vocal and instrumental music. Nicolás Meyer is 29 year-old Argentinean. He lives in Buenos Aires. He is married and has one child. When he was 15, Nicolas started working on various social projects in vulnerable neighbourhoods of Buenos Aires and in other provinces of his country. 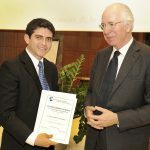 In 2007, together with eight of his friends, he decided to start working in solidarity finance, in an association called “Nuestras Huellas” (http://www.nuestrashuellas.org.ar/), where they introduced the community bank methodology. He initially acted as coordinator of these community banks, before moving on to become head of training. Nicolás is currently general manager of the organisation. He is involved in various Social and Solidarity Economy projects in Argentina and other Mercosur countries. Nicolás Meyer qualified in the philosophy baccalaureate (final school exams), and studied social psychology at university. Born in Montevideo, República Oriental del Uruguay on January 17th, 1980. Master in Bussines and Administration, IEEM, Universidad de Montevideo (2010); Public Accountant, Universidad de la República Oriental del Uruguay (2006). Guyer & Regules Associate, Member of the Department of Corporations and Taxation Department (from 2002 to date). His practice includes accounting advice, tax and corporate advice to companies established in Uruguay. In the exercise of his profession as an Associate of Guyer & Regules advises in matters of accounting, corporate, labor and tax institutions from different sectors of activity, among which are financial institutions in the country such as Banks, Securities Dealers, Representatives Offices of Foreign Financial Institutions and Stock Brokers. I am Mexican and studied Industrial Engineering at the Tec de Monterrey. For five years I performed roles related with the improvement and protection of the environment. 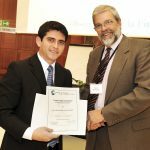 I supported the implementation of quality standards for an electronic waste recycling company, promoted the National Greenhouse Gas Program, coordinated online education projects for Latin American non for profit organisations and I also actively participated in environmental advisory boards in my city, Guadalajara. In 2009, with the support from Chevening scholarships, the National Institute of Ecology and MOB-Brockman foundation I studied an Msc in Decision Sciences at the London School of Economics. Since January of 2011, I work as a decision analyst for a consulting firm in the UK. Born in Harare, Zimbabwe, Immaculate Dadiso Motsi-Omoijiade completed her Masters in Public Policy, with specialization in Economics, in 2009 at the prestigious Lee Kuan Yew school of Public Policy, National University of Singapore. Her academic research interest in global finance and macro-economic policy has been complimented by her professional engagement in business consultancy, most recently with the International Operations Department of International Enterprise Singapore. 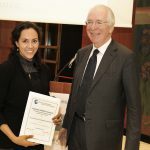 It is this interest in global finance in general and financial regulation in particular that led to her to investigate the roll of Credit Rating Agencies in the financial crisis from an ethical point of view in the spirit of the Robin Cosgrove Prize. Prior to Singapore, Immaculate read Political Science and International Relations, graduating with an Honours Degree with a specialization in International Political Economy from the University of Pretoria, South Africa. During this time that she excelled both academically and professionally as a Junior Lecturer taking on various consultancy posts with Water Aid UK and INWENT Germany as well as working as a researcher at the Centre for International Political Studies. Publishing extensively from a book on the conflict in the DRC, to commentary on local and international affairs in newspapers, journals and periodicals, Immaculate has been invited to speak at events, give public lecturers as well as conduct radio and television interviews. Her research has taken her around the world from Washington D.C, Buenos Aires, Cairo and Kampala to Uppsala in Sweden and St.Gallen in Switzerland. Having been awarded a scholarship to pursue a PhD at the Graduate Institute of International and Development Studies, Geneva (IHEID) for the 2009-2010 academic year, Immaculate will be re-directing her doctoral studies to Economic Policy in fall 2012.